Light can influence how we feel, how we see, and how we interpret our surroundings. 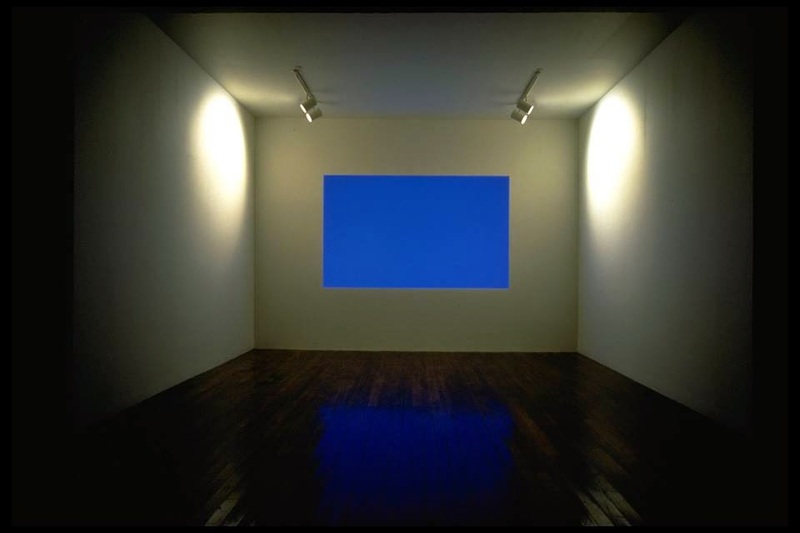 No wonder artists like James Turrell have chosen to focus on LIGHT as a primary medium for creating installation art. In a recent Mini-Factory program, our group of adventurous 3, 4 and 5 year olds entered the low-lit galleries on the second floor of 500 Sampsonia Way to explore Turrell’s work Danäe. After a bit of trepidation, our young artists realized how easily the senses can play tricks on us – our eyes slowly adjusted to the darkness to discover a wonderful color at the back of the room – a glowing purple rectangle which appears to almost be floating on the wall. . . or is it? You will have to visit the Mattress Factory to see for yourself how Turrell uses LIGHT to play with our senses. Another artist at the Mattress Factory, Yayoi Kusama, also combines LIGHT with other mediums like mirrors and polka dot patterns to invoke infinite possibilities to the senses. Mini-Factory participants were instantly intrigued by her installation . . .
And to bring it full circle, the Mini-Factory program always wraps up with a fun book and collaborative activity. In our program on LIGHT the students used cellophane paper and scissors to cut out all sorts of shapes and placed them on to the lighted surface of an overhead projector (simple technology at it’s best!). These shapes and colors were magnified on the wall, as well as our mobile pop-up space, which sparked creativity and excitement. No doubt, sculpting with LIGHT was the highlight! Mini-Factory is a FREE interactive learning program for children ages 3 - 5 years old and their parents or caregivers. Using contemporary installation art, parents and children will explore new ideas and concepts from the everyday world. Join us in the new year for a Mini-Factory program, RSVP or find out more by e-mailing education@mattress.org. PREVIEW // ARTLab: Scribble Machine Wrapping Paper for the Winter Art Market! Enjoy the Winter Art Market and make your own Scribble Machine Wrapping Paper to wrap up those one-of-a-kind gifts! Here are some pictures of Scribble Machines in action from last weekend's Member Appreciation event. Happy Holidays from the Mattress Factory! We hope to see you Saturday!